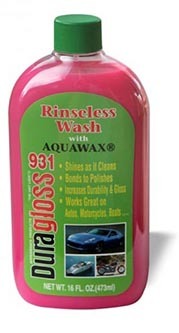 The new Rinseless Wash is a subtle blend of our world famous Wash Concentrate with the un-beatable Aquawax ! Now you can wash your car as normal and then just dry using anice soft drying/polishing cloth, to achieve an unbelievable showroom shine. No rinsing, just wash and dry ! what could be simpler ? 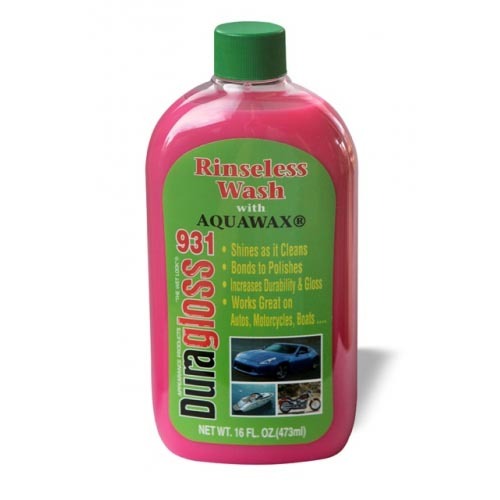 I have been using rinseless products for about one year now, including Dodo Juice and Optimum products, but the Duragloss product is, to my mind, the best of them. It has real cleaning power and leaves an absolutely impeccable and glowing finish.